It started with a July tweet asking if there was interest — and after dozens of responses (and 161 “likes”) — it was on. 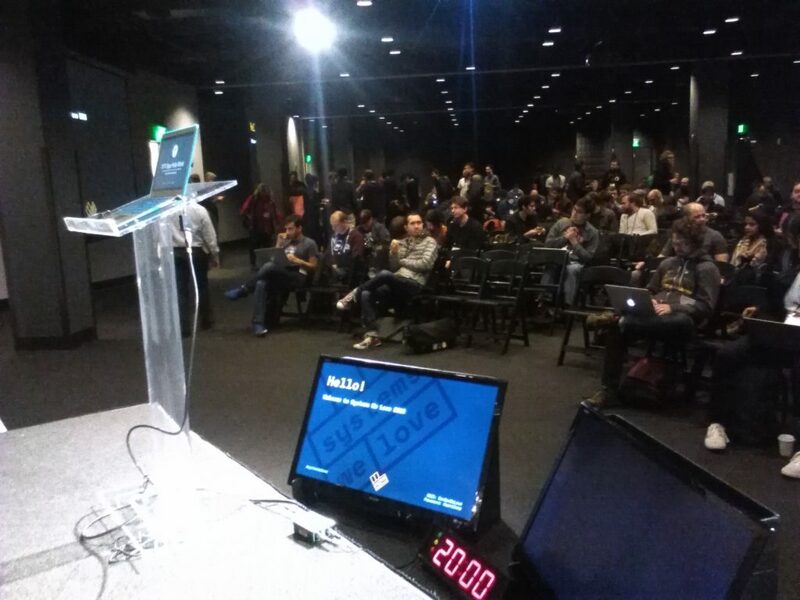 By mid-October, organizers for the first-ever “Systems We Love” conference had received 162 submissions for just 19 speaking slots, and “I marked 70 as ‘would love to see’,” committee member and Joyent software engineer Ryan Zezeski posted on Twitter. 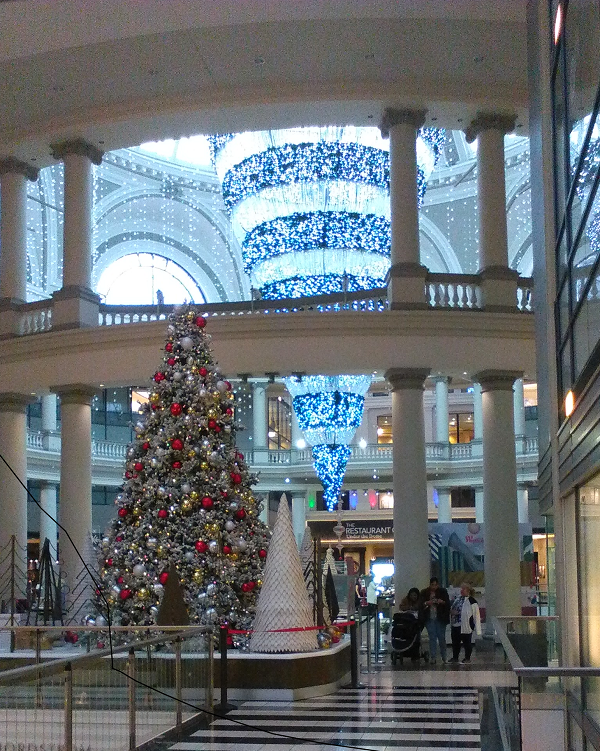 So at a Bespoke event space in San Francisco — just past Bloomingdale’s Christmas decorations and the historic Emporium skylight dome — the geeks began to gather. After t-shirts were distributed and pastries were consumed, the crowd stared expectantly as the first speaker took the stage. It began with Ryan Zezeski a software engineer a Joyent, fondly remembering his interactions Roger Faulkner, one of the pioneering programmers from the days when Unix was still spelled with all capital letters — “an engineer’s engineer,” and the creator of its /proc filesystem. And Adam Fletcher‘s light-hearted talk remembered his time building airline reservation systems, joking that “I didn’t write any software that could cause a plane to crash, but I did write software that could cause you lots of delays at the airport.” He inherited some extremely old legacy systems, which he spoke of with admiration. Meanwhile, the event’s organizers kept up a running commentary on Twitter. Several other presentations also found their way back to the early days of Unix. San Francisco software engineer Breanne Boland prompted an audience of raised hands when she asked who’d used a man page in the last month, then reminded everyone man pages started out as a single binder filled with printed pages. Documentation is everyone’s problem: Even the creators of Unix, Ken Thompson and Dennis Ritchie were informed by their managers that they were now also in charge of documentation — and the rest was history. 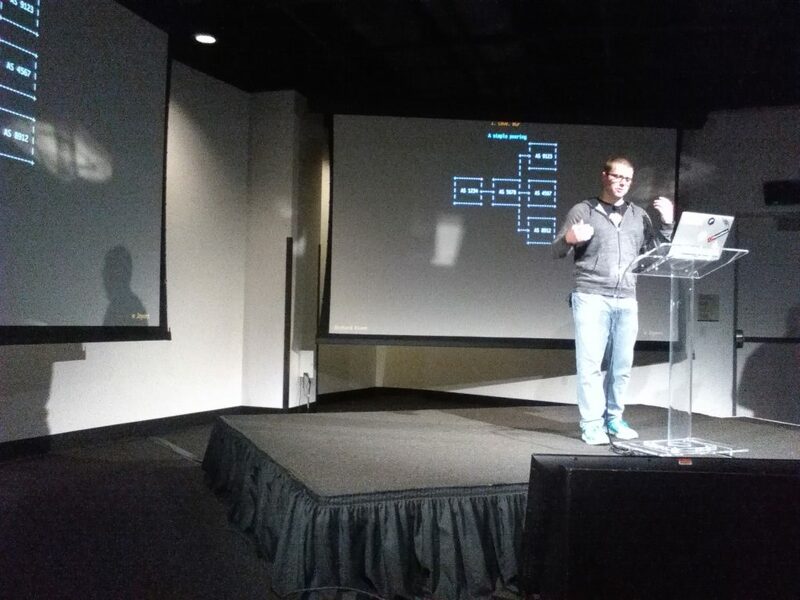 Cody Mello‘s talk on AWK also told tales about the 1970s, when text-processing tools evolved from the work of Ken Thompson and Lee McMahon into the mighty Unix utility, AWK. He reminded the audience that it’s still being actively maintained — 68-year-old Brian Kernighan released the latest version in 2012. And Mello won some admiration from the audience for his own clever Unix trick, which ensures that he’ll always be able to retrace every command he’s ever typed. Daniel Morsing‘s talk on UTF-8 had one of the most timely slides I’ve ever seen — a photograph of one of the lanyards from this very conference, showing that its printer had transliterated the name Timothée Peigner with its own mishmash of alternate characters, no doubt to its lack of support for UTF-8. And the system that Brian Troutwine loved was the Apollo Guidance Computer, though he complained that every time one of his talks about it appears on YouTube, “moon hoaxers” in the comments accusing him of being part of the shadowy cabal that’s keeping the truth from us all. 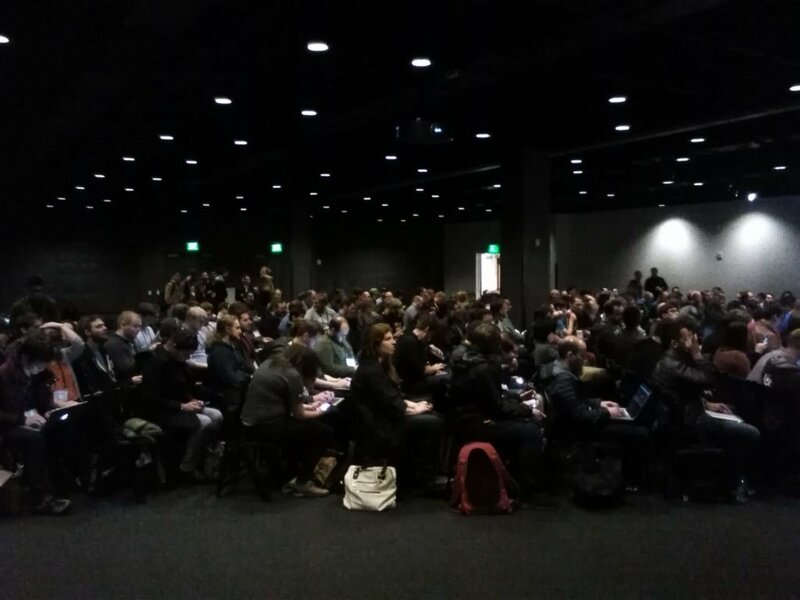 One New York geek even tweeted that thanks to the livestream, he was watching the presentations while attending another conference — specifically, the Tectonic Summit about enterprise Kubernetes. And some of the conference’s own tweets were surprisingly poignant. "The past informs our present." Did @bltroutwine just give #SystemsWeLove its unofficial motto? Specifically, she’s part of the U.S. Digital Service, which pairs “technology talent” with workers in the federal government, and regaled the audience with her stories about an IBM 7074 mainframe, built in the 1960s —with 100kb magnetic core memory — that somehow found itself feeding data into a 2016 web application. Interestingly, two different people had suggested a talk with the exact same title: “I love BGP.” Joyent software engineer Richard Kiene ultimately ended up being the one to explain to the audience why the BGP gateway protocol is like asking for directions in a small town. Alex Wilson delved into the history of our current DNS system, and drew applause when his presentation’s slide began by mimicking an old-style PC DOS 2 user interface with the logo for Harvard Graphics. It was his way of taking the audience back to the era when ARPANET was transitioning to TCP/IP, and “there was another host popping up on the network every 20 days.” There was literally just a file called host.txt on SRI-NIC that network operators would download every day to make sure they hadn’t missed anybody. Late in the day, the conference organizers had one more announcement: that all the leftover food had been donated to the needy courtesy of re-plate.org. Joyent is a sponsor of The New Stack.